AMS Controls’ incremental optical encoders are specially designed for use in precision material tracking. The encoders are sealed at the amphenol connector and around the main housing. All AMS Controls encoders are dual-channel with complementary signals (quadrature). A 5VDC supply and common ground are required to power these encoders. We offer several encoders from medium/low to very high accuracy (N256, N500, N1000, N2000). 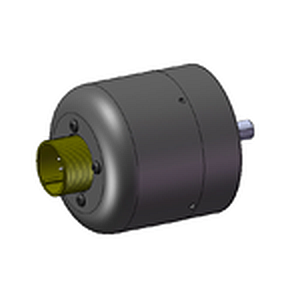 The model encoder used is dependent on the application. Encoder and material tracking problems account for most product length variations on computer controlled roll forming lines. It is important that your encoder is mounted correctly to accurately track your material. Want to learn more? Our support team has excellent resources on encoders, including installation, alignment, and troubleshooting techniques. For use with applications using excessive lubrication. Sealed bearing units (S1000, S2000) are not to be used with phenolic fiber wheels. Contact us to find the correct encoder for your application.